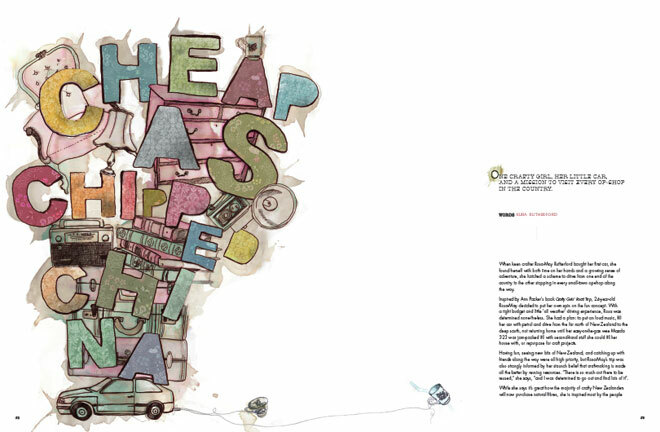 As a school project, Natcoll design student Marie Holdaway recently re-illustrated ‘Cheap As Chipped China’, Issue #8 of World Sweet World Magazine, by Kura Rutherford. Great to see how people reuse material, put their talent to work and create something new. 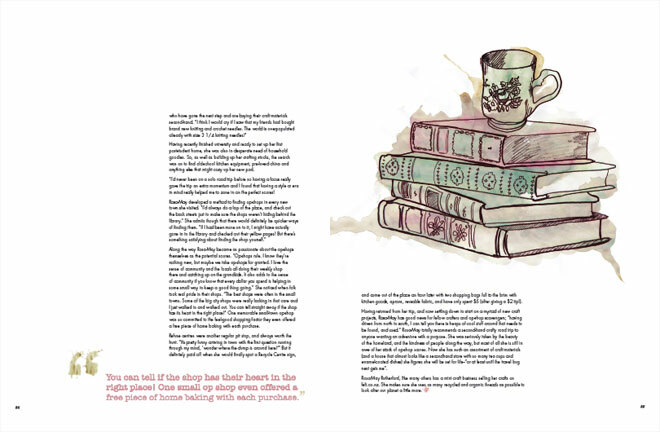 Marie illustrated the article with the frankie magazine in mind, and found her inspiration at Lovely Sweet William.